Art comes from within, but ideas and people and moments and things that make us feel come from the world at large. That's what we call inspiration, and without it, it's impossible to make art. I am inspired by many things--the way sunlight falls on a certain leaf, cloudy fall days, the minds of people I care deeply about. Some photographers and artists I have observed know how to convey feeling in a way that I identify with and find magical. A few of them have consistently inspired me so much as to inform my work and my style in ways that I could not thank them enough for if I had the chance. I feel I would be remiss if I did not acknowledge their existence here. I first saw Marcus's work before I knew I wanted to be a wedding photographer and I loved it because his work is truly fine art whose subject happens to be weddings. I strive to do the same. I also love how he isn't afraid to do a lot to an image in post processing to make it into something incredible. While known for self-portraits, not weddings Rebekka's images always grab me. She uses plenty of photoshop, but she understands the value of getting it right in the camera before you ever start post-processing. 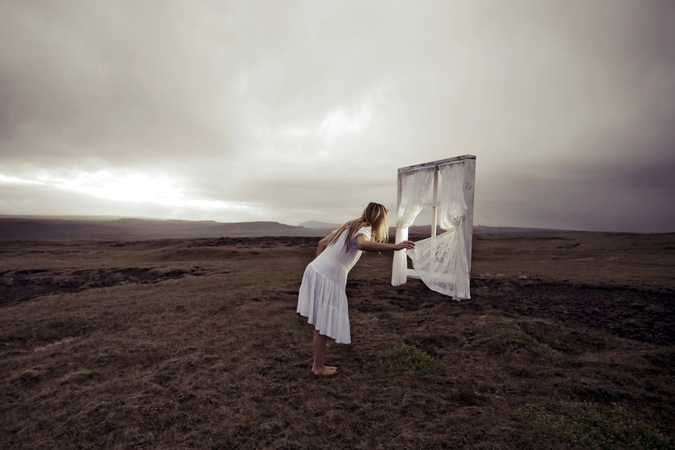 She plans her images well ahead of time sometimes driving hours in the middle of the night to get to the right lake in Iceland at dawn and painting and altering found objects to express exactly the idea she was going for. When I was 15, Dave Brubeck's Best-of album didn't come out of my stereo for an entire year. I dreamed of growing up to be a Jazz Pianist then (and I still do a little bit now). Brubeck's music was different than anything I'd ever heard before and that's what I loved about it. Brubeck routinely wrote music in time signatures that other musicians, even very skilled ones, would never touch. I want to blaze trails like he did. His music still inspires me to make something entirely new, even if it involves a challenge that other's aren't willing to face.